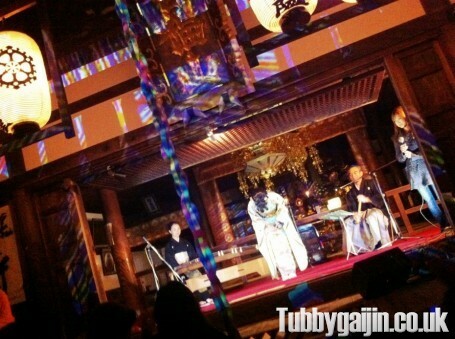 The illuminations in Kobe aren’t the only great evening event happening in Kansai this winter. 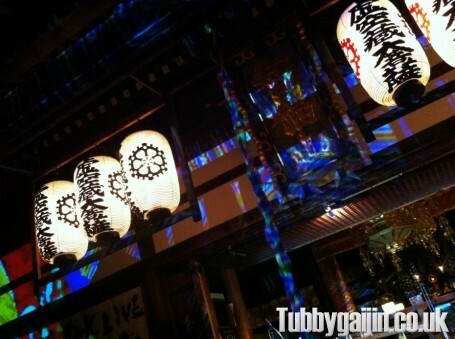 Yesterday Emma and I headed to Arashiyama, one of my favourite places to enjoy Arashiyama Hanatouro. 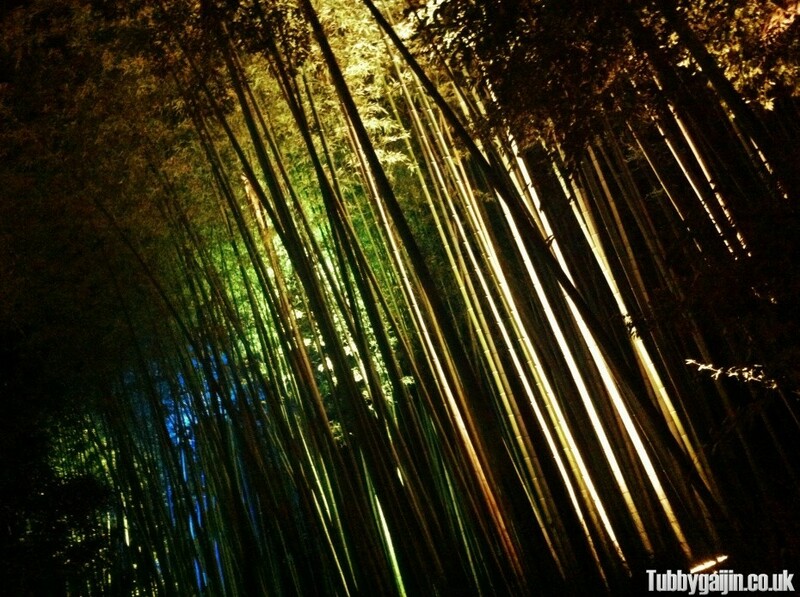 This event, which takes place across ten days in mid-December transforms night time Arashiyama into a bright landscape of lanterns and projections. 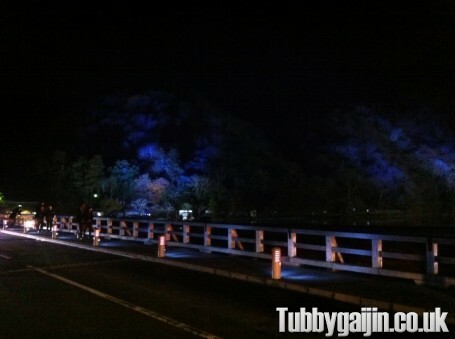 Massive floodlights illuminate Togetsukyo bridge and Mt Arashiyama in an array of colours, and the famous bamboo groves turn into a maze of light. 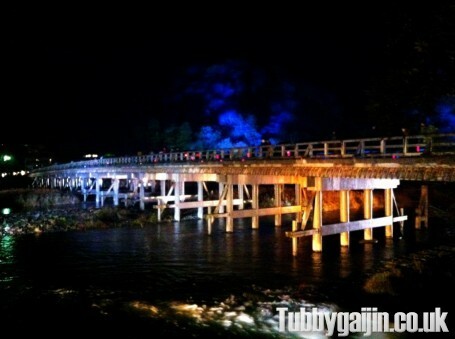 In total, around 5km of pathway around town are illuminated during this event. Arriving at just before 7.30pm, we weren’t aware until we saw a poster that the illuminations ended in around an hour at 8.30pm, so we had to rush a bit to get around! Everything was still on after the promoted end time though. 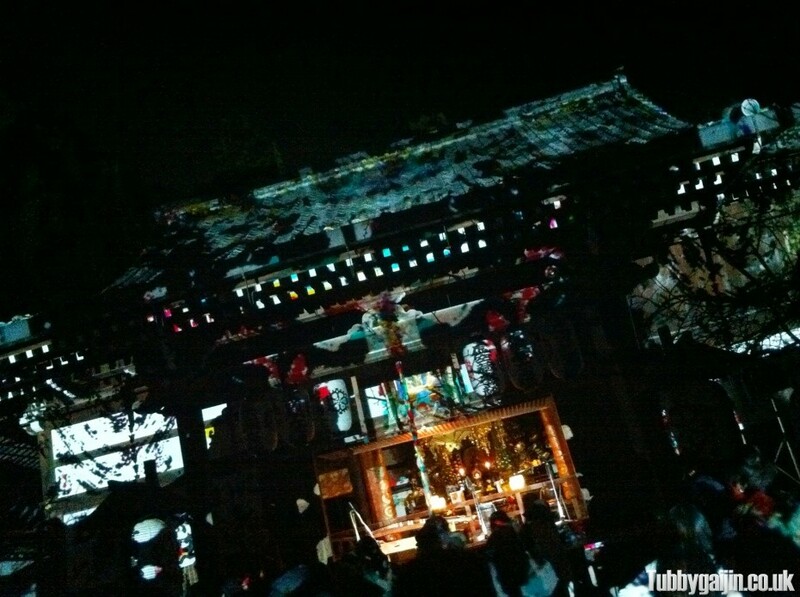 The temple was illuminated with colourful projections, plus a traditional singer and musicians were performing to the crowd(Video below). 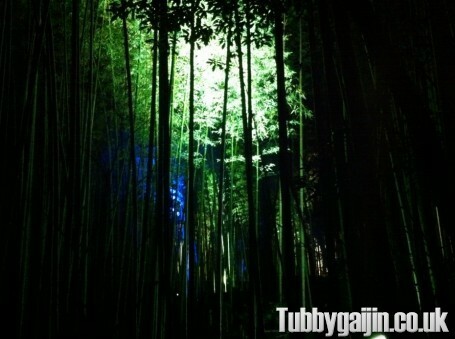 After the performance, we headed back to town and into the bamboo groves. 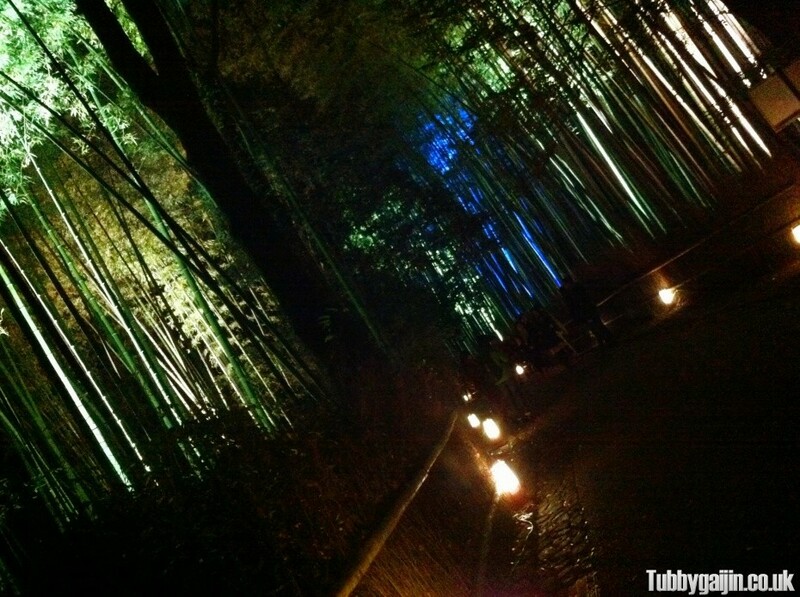 We headed into the grove and passed Nonomiya Shrine, blue, green and white spotlights lighting the way. The pictures don’t do it justice, it was eerily beautiful. 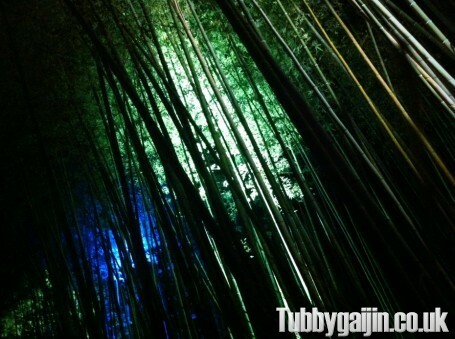 I’ve visited Arashiyama a number of times, but seeing it illuminated at night was a great experience that made it feel like a completely different place.